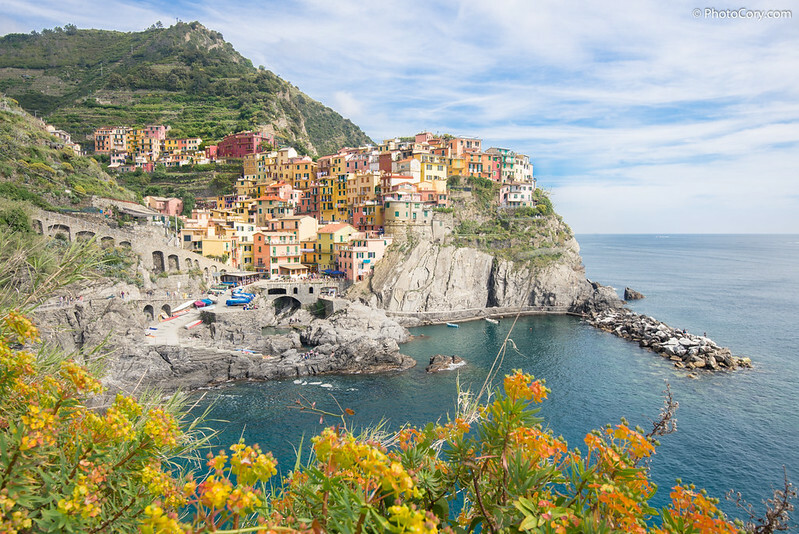 Cinque Terre means that there are 5 lands/cities in this UNESCO World Heritage site on the Italy coast. 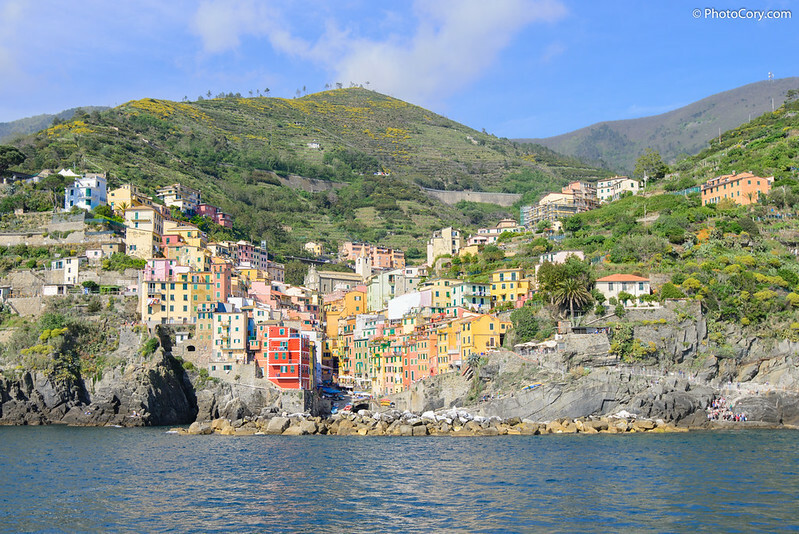 The 5 cities are: Riomaggiore, Manarola, Corniglia, Vernazza and Monterosso. In one day you can visit them all. 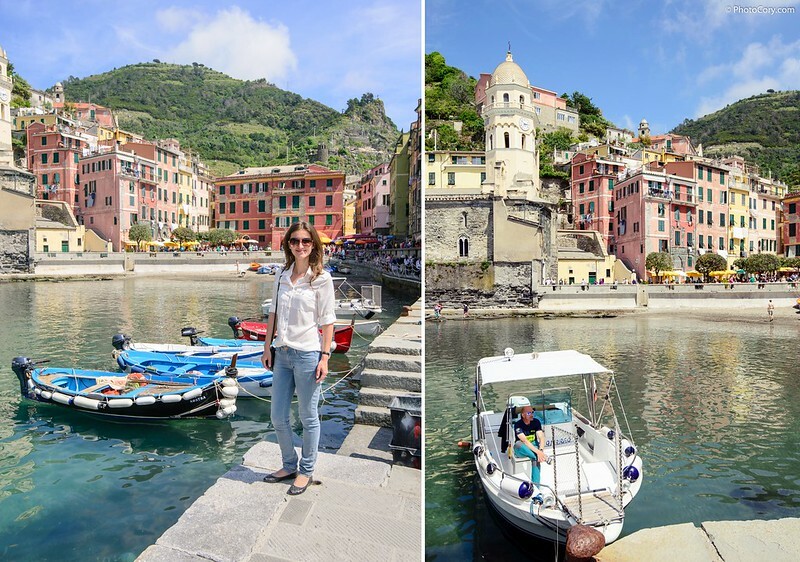 We took the ferry from Porto Venere which stops in all, except Corniglia. 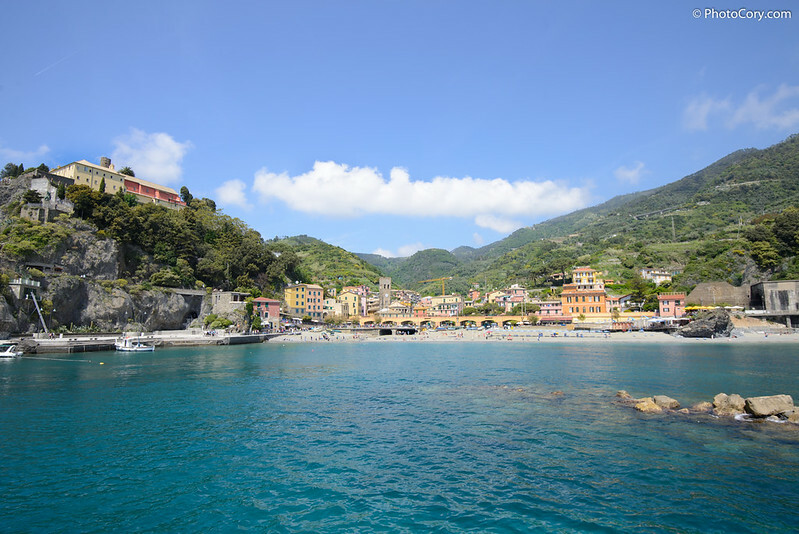 Each of these 5 cities has a train-station, so you can also take the train from La Spezia. 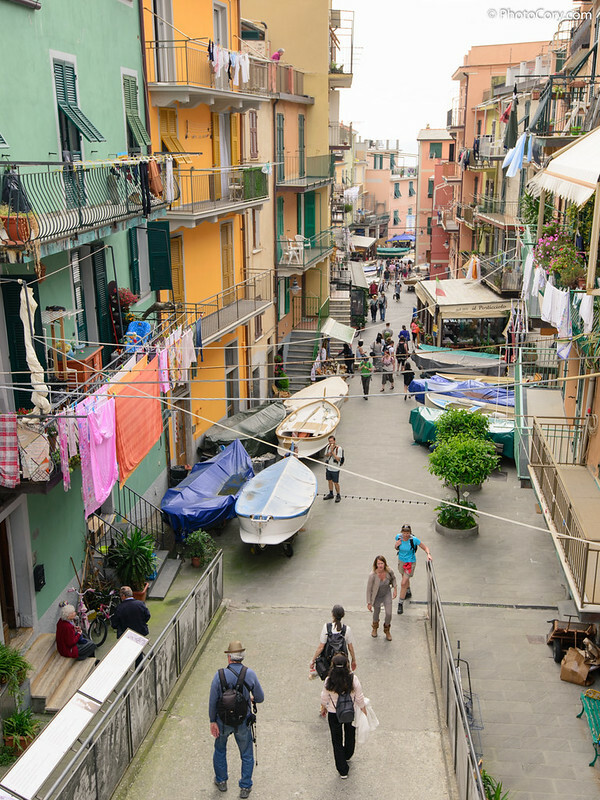 Or, if your housing is actually in Cinque Terre, you can hike between the 5 cities (it’s a 6-7 hour walk). 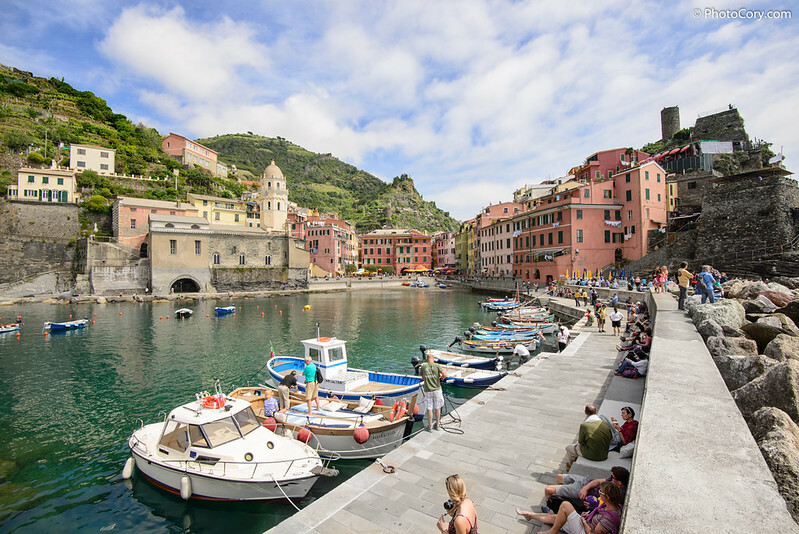 “Cinque Terre” inseamna “5 teritorii” – adica sunt 5 orasele protejate UNESCO, pe coasta Italiei, construite in nivele pe stanca, direct la malul marii. 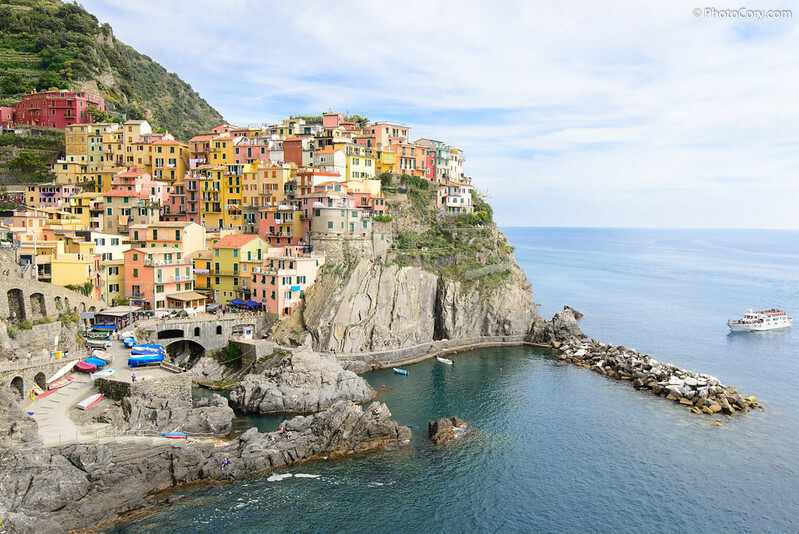 Aceste 5 orase sunt: Riomaggiore, Manarola, Corniglia, Vernazza si Monterosso. Noi le-am vazut pe toate intr-o singura zi. 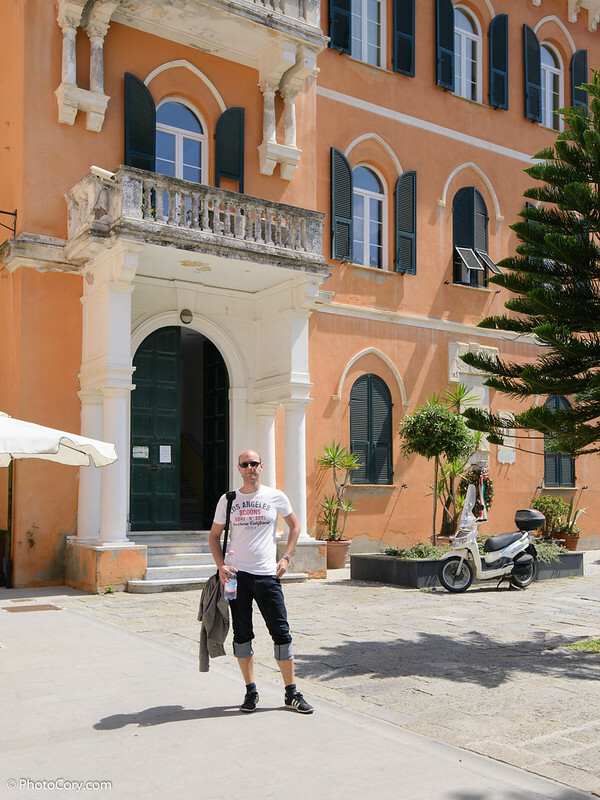 Am luat vaporul din Porto Venere, care te duce in toate orasele in afara de Corniglia. Iata cateva poze din fiecare orasel. Este impresionant! 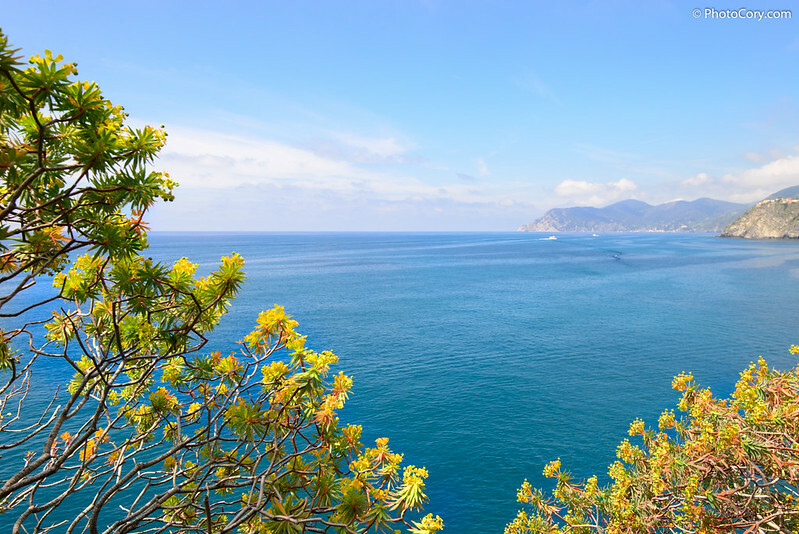 This is the most FAMOUS view from Cinque Terre / Manarola este faimoasa locatie din Cinque Terre, cea mai fotografiata! 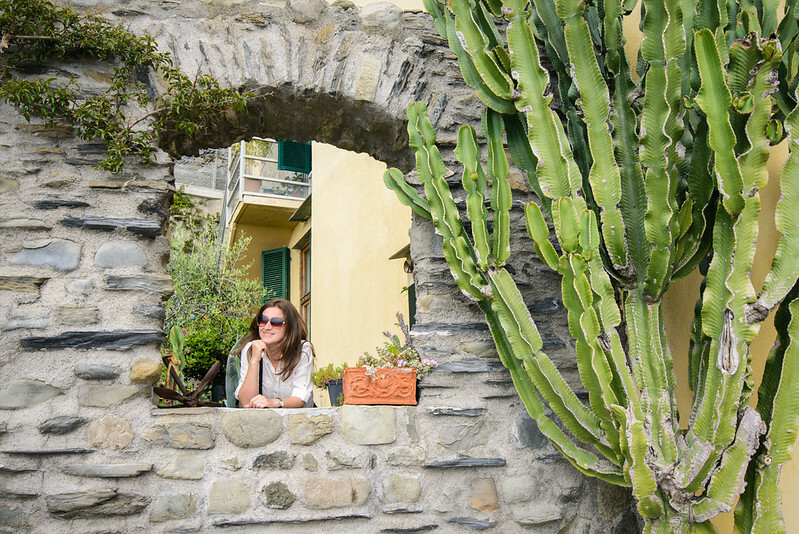 In Manarola we stopped twice, we really loved it! 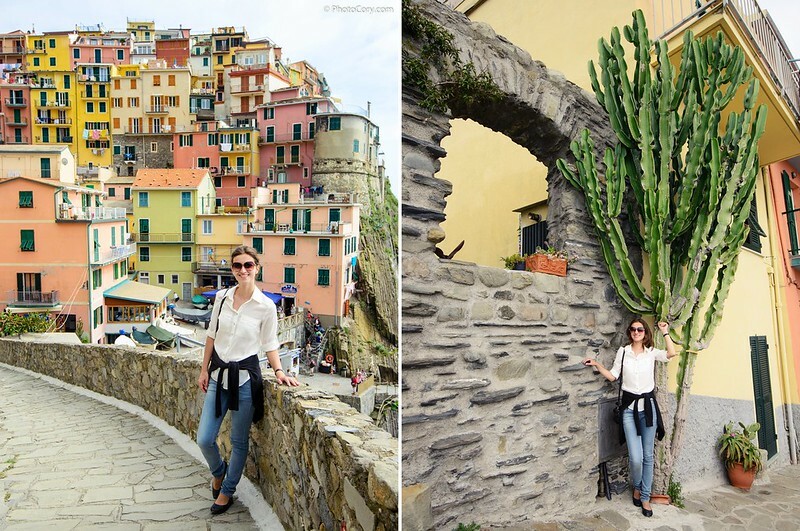 / In Manarola ne-am oprit de 2 ori, dimineata si dupa amiaza, pentru ca ne-a placut prea mult. E vis! 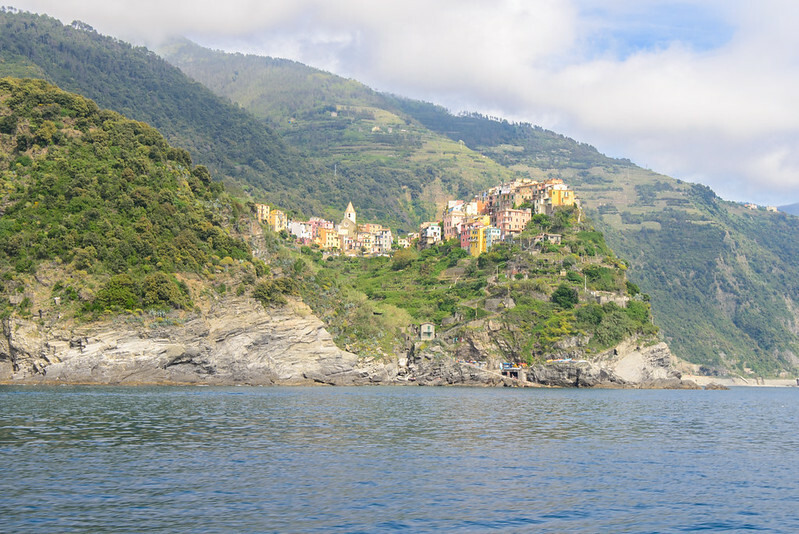 I wasn’t sure that I wanted to see Cinque Terre because I saw Positano a few years back which was quite impressive and not so touristic (the same style colored houses at the edge of the sea) and I thought nothing can beat that. 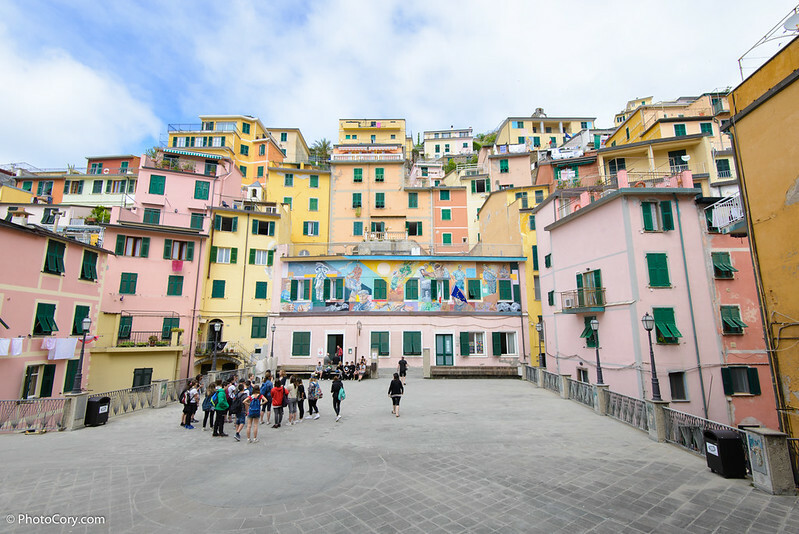 But I am glad I came to Cinque Terre eventually, the ferry ride was relaxing and it was impressive to see the houses at the edge of the sea, even though it can get quite expensive here: because it’s such a popular location they tend to rip tourists off. 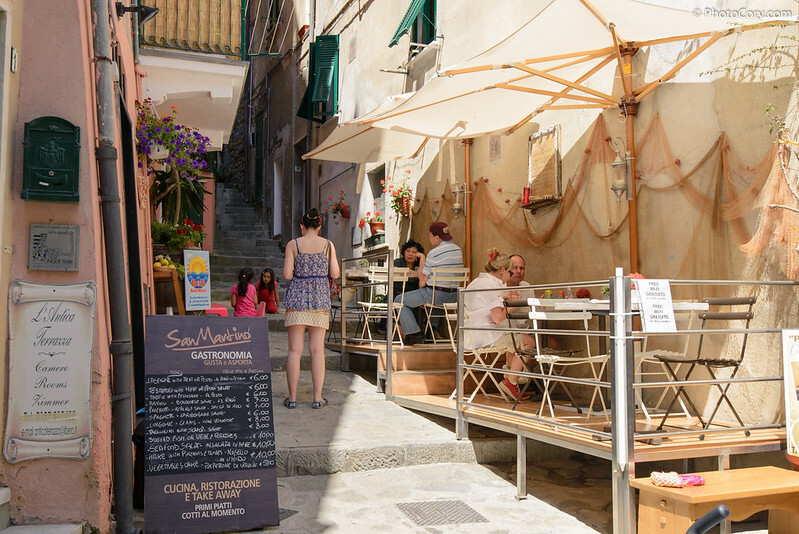 For example a simple pancake with Nutella costs 4 euro (FOUR) and plain pasta with sauce around 12-13 Euros! But if you keep away from the center of these cities and find local restaurants, the prices are more reasonable (as you can see in the last photo). 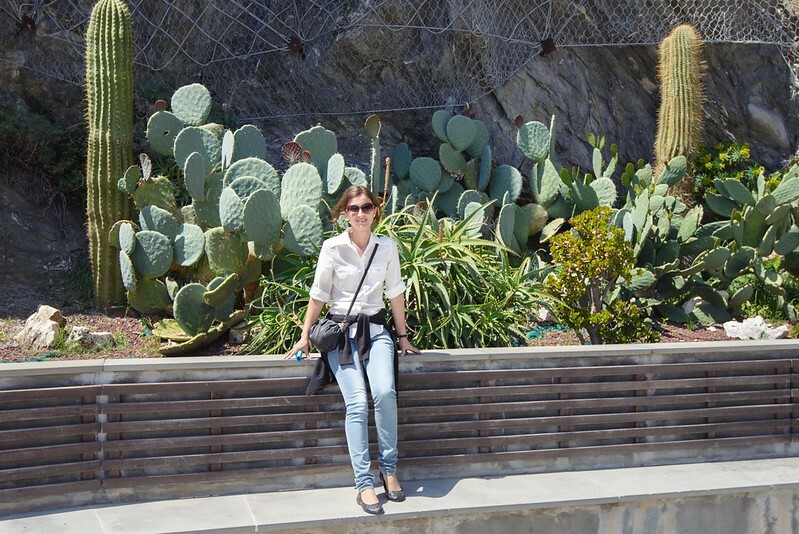 Nu prea eram convinsa ca vreau sa vad Cinque Terre pentru ca vazusem Positano cu cativa ani in urma (care e impresionant si nu atat de turistic, in acelasi stil de case colorate pe nivele, la tarmul marii). 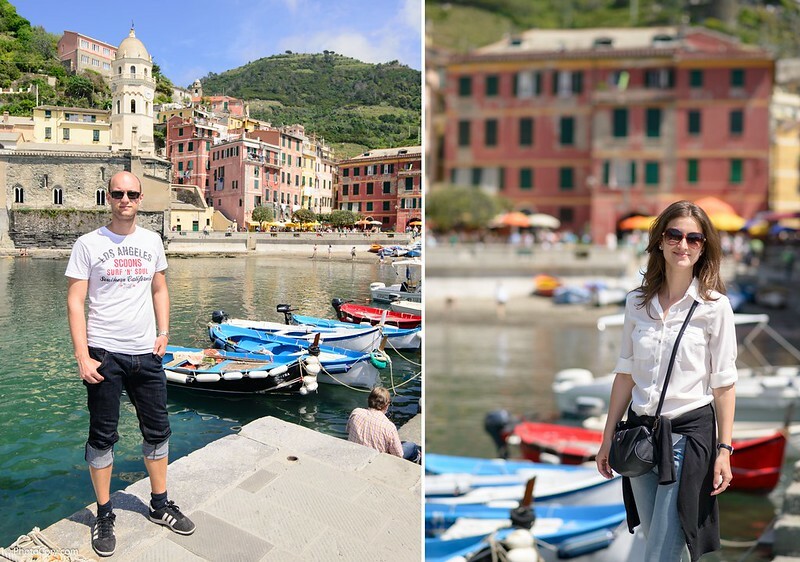 De fapt am ajuns la Cinque Terre ca sa evitam Milano pe care ni-l propusesem la sfarsitul vacantei si buna alegere am facut! Plimbarea cu vaporul de la un oras la altul a fost foarte placuta, in soare (ne-am bronzat! ), iar peisajele au fost de vis! Mi s-a parut totusi cam scump, vor sa profite cu preturi mari, fiind foarte vizitat de turisti. O simpla clatita cu Nutella costa 4 euro (adica 17 lei) ceea ce mi s-a parut exagerat, iar o simpla portie de paste (fara carne) in jur de 12-13 euro (adica mult prea mult! sunt totusi DOAR paste). Plus ca in Italia au un stil de a umfla nota de plata adaugand in functie de cat e de fitzos restaurantul, cate 1, 2 sau 3 euro pentru fiecare persoana care sta la masa (se numeste “coperto” chestia asta). Dar exista si strazi laturalnice, printre localnici, cu mancare buna la preturi rezonabile, ca in ultima poza. Such beautiful pictures – the colours are wonderful. 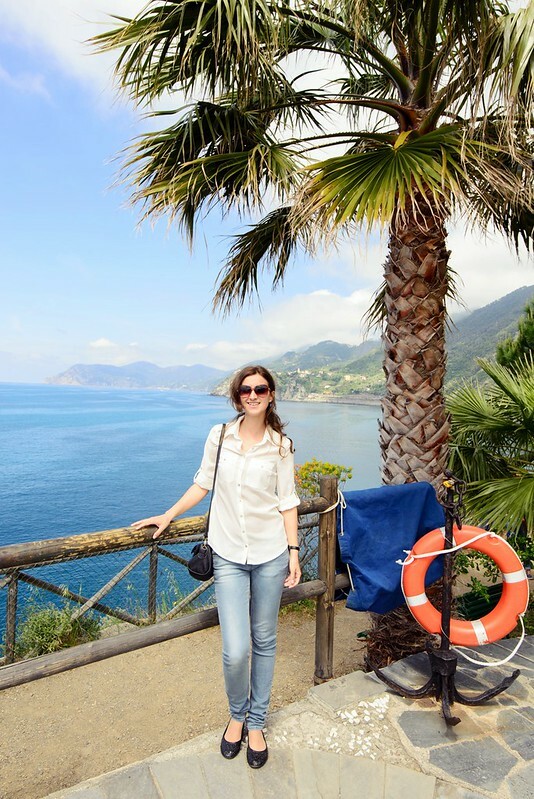 Loving these posts especially since we are following almost in your footsteps in 2 weeks and visiting Pisa, Florence and 5 Terre! 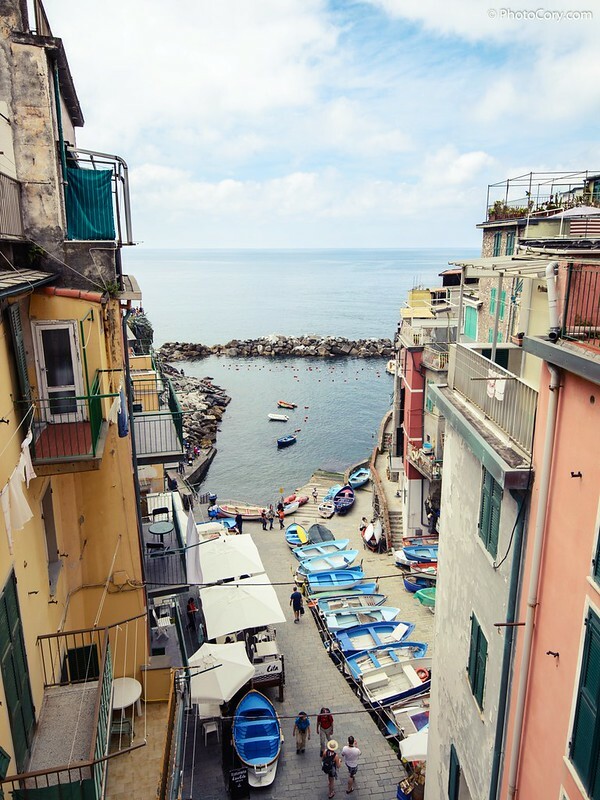 It’s a colorful place, the deep blue of the sea, the paint of the houses…photos look good from any angle, I loved it. Can’t wait to see your photos when you come back from the trip! Beautiful!! I was here last year but only had by Blackberry with me, gutted I could not take any real photos! We rushed through it a bit to be honest as well, I would love to go back! 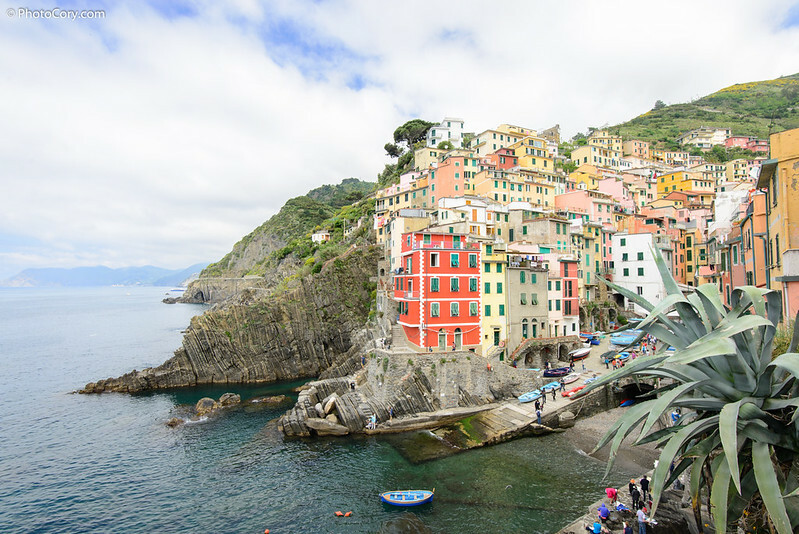 Beautiful Italy & Beautiful Photography & Beautiful you!! !